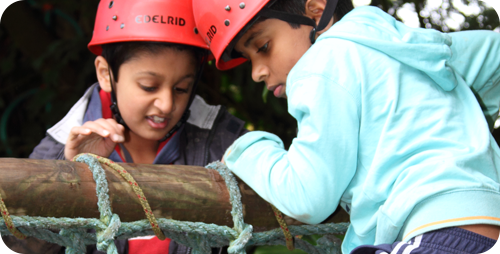 This fully inclusive, three day, two night ultimate team-building experience has been designed especially for Key Stage 2. With an exciting programme of 8 challenging fun-filled activities, it will develop the confidence, trust and learning of your students. All our activities have been specifically designed to enhance your delivery of the new National Curriculum. They are led by experienced instructors with a passion for working with children of all abilities, within a fun, positive and experiential learning environment. You will have exclusive use of our welcoming and flexible accommodation in our historic Old Vicarage. All bedding is provided and you will be treated to delicious hot meals especially prepared for you by our amazing chefs. A sport for all ages and abilities. 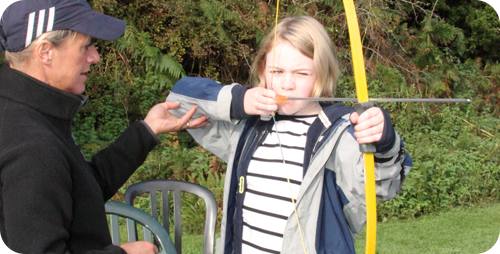 Our excellent outdoor range provides the opportunity to take part in this most ancient of skills using modern equipment, under the guidance of experienced, qualified instructors. We are able to offer basic introductory sessions or advanced skills coaching as required. 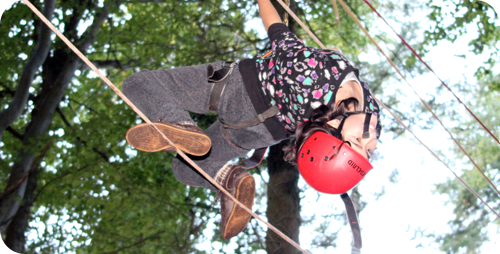 Involves getting from one side of a small quarry or stream to the other by setting up a rope bridge, using your initiative and developing your team building skills. Our instructors will provide basic equipment and give helpful hints! 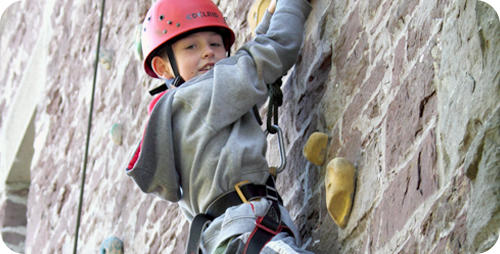 An excellent introduction to climbing skills, from balance to belay. 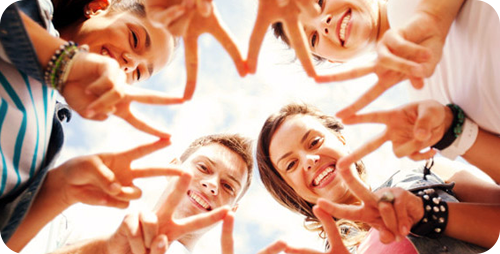 Your group will learn to work together and operate as a team with all members being involved. Whilst one person is climbing, others learn the rope work skills that go with belaying. Suitable particularly for the novice climber. 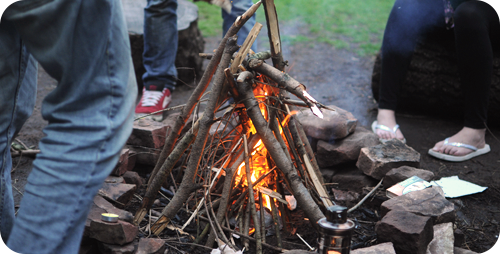 One of our more popular activities, introducing basic bush craft skills; how to find food and water, how to build a shelter and make a fire. 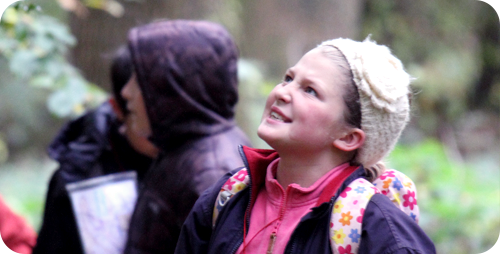 Suitable for participants of all ages and abilities, it’s a great way to discover more about our natural environment. Advanced sessions are available on request. 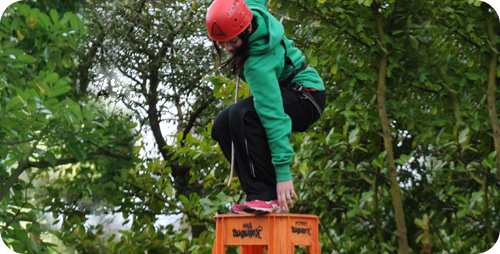 A real team challenge which involves balancing at height. Everyone is involved in making a tower out of crates. See how high you can go, whether you are trying to beat your personal best or the group record! Low ropes is a fun and memorable team building challenge on a low level course which will help you to develop confidence as a group. It’s suitable for groups of mixed ability and age whether or not you have worked together before. 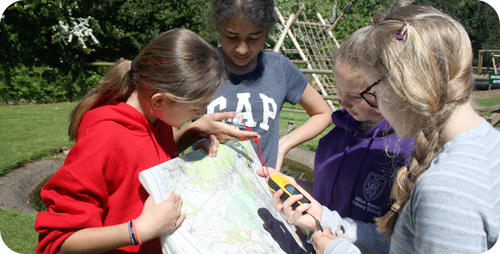 Navigation will teach you the basic skills of map reading. You will use these skills to find the markers on our navigation course. Teambuilding elements can be included to make this activity more challenging for older groups or those with previous experience. Follow our fantastic trail of unusual views and strange sights – a new twist on map reading. Let our instructors guide you through the forest and discover some of its history during the day, enjoy the setting sun of a summer’s evening or the thrill of a winter walk in the dark. 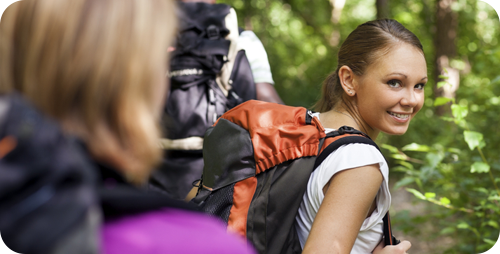 This activity can be tailored to suit the needs and ability of your group. A fun introduction to the science of rockets which will ignite your imagination. 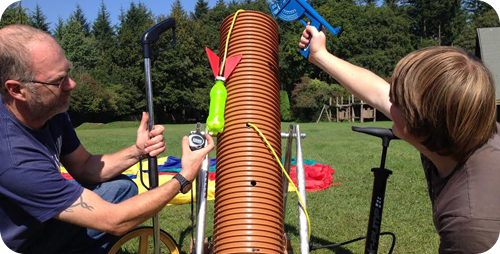 Through a series of interactive experiments you will learn about, build and test launch our educational jet-propelled rockets. 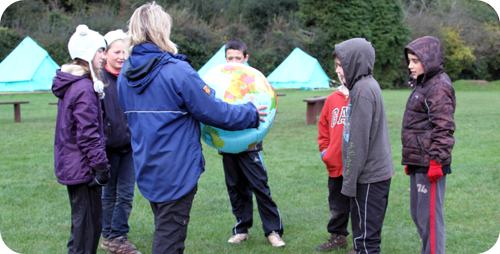 A variety of short initiative games and activities within the grounds of the Centre, which help to develop group skills such as communication, planning, problem solving and teamwork. Group goals are decided at the start of the session which can be tailored to develop leadership skills.